Marvel is pleased to present a new beginning for Earth’s Mightiest Heroes and your first look inside the highly-anticipated AVENGERS #1! Eisner Award-winning writer Mark Waid joins rising comics superstar Mike Del Mundo to bring Marvel’s mightiest into Marvel NOW! and face-to-face with their greatest villain! Now, Captain America, Thor, The Vision, The Wasp, Hercules and the Amazing Spider-Man leap into the time stream to confront Kang the Conqueror! But when the dust settles, not a one of these valiant heroes will make it to the final page alive. Welcome to…KANG WAR ONE! It all kicks off on November 2nd when Earth’s Mightiest Heroes charge forward into Marvel NOW! 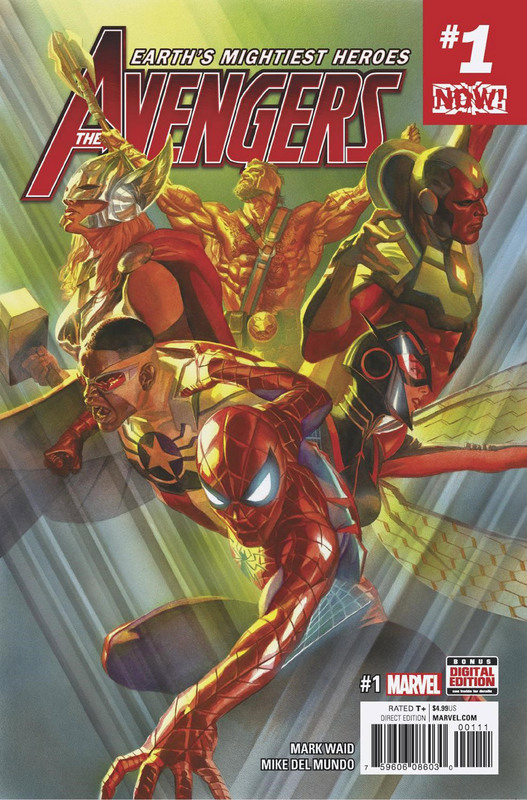 in AVENGERS #1 – coming to comic shops and digital devices everywhere!